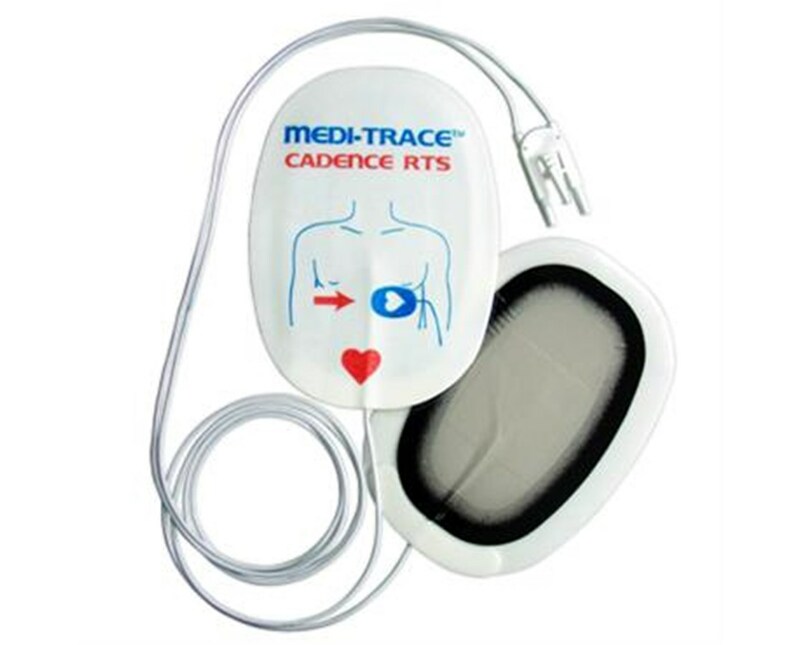 Covidien's Kendall™ MEDI-TRACE™ Cadence multi-function defibrillation electrodes provide superior defibrillation, pacing, ECG monitoring, and synchronized cardioversion at an economical price. They are constructed of durable latex-, DEHP-, and mercury-free material. The electrodes feature an aggressive conductive adhesive hydrogel formula for optimal adhesion, even in the center of the electrode, and maximum electrical contact. 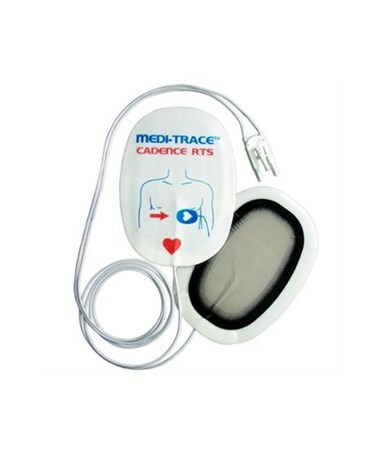 Each electrode is equipped with gradient technology, using a unique silver/silver chloride composition and oval shape to distribute current uniformly during defibrillation, cardioversion and pacing and to reduce the risk of skin irritation. The multi-function electrodes are comparable to and compatible with several brands of defibrillation equipment and accessories. For added convenience, the electrodes connect directly to Phillips defibrillators; no need for adapters or cables. The packaging is color-coded for easy identification and features graphic placement instructions. The electrodes feature radiolucent wires and are comparable to Philips M3713A, M3716A, M3718A, DP2, and DP6 electrodes.